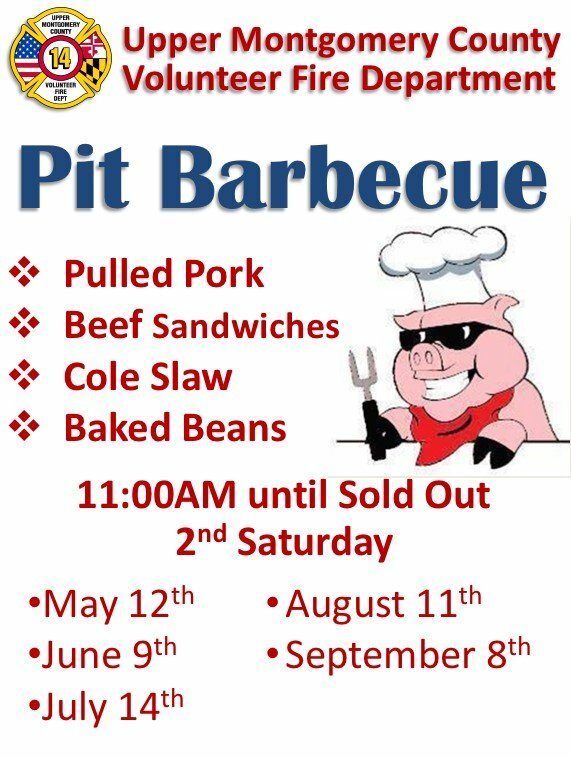 The Upper Montgomery County Volunteer Fire Department’s Pork & Beef Sandwich fund raiser events are back by popular demand. “The UMCVFD pork & beef sandwiches are delicious fund-raising events!” said a happy & satisfied Poolesville customer. The event hours are open at 11:00AM and finish at 3:00PM, or earlier if sold out. The events are held on the 2nd Saturday from May through September. UMCVFD greatly appreciates your support!